In terms of music, 2016 has been an interestingly diverse year. Pop music employed more spliced and cut up electronic hooks, musical icons like David Bowie and Leonard Cohen passed away, but not before releasing emotional, musical masterpieces. Meanwhile, Australian music had more and more blips appear on everyone’s musical radars. Tragedy and excitement has been brimming in the industry all year and it seems this tense environment has been a perfect onefor producing amazing album after amazing album. It should be mentioned that despite Triple J’s more poppy leans towards dance hits and club songs, Australian music has seen a wonderful upsurge in fantastic new acts such as Gretta Ray, Camp Cope, Gabriella Cohen and Alex Lahey. 2016 has been a fantastic year for Australian music with King Gizzard and the Lizard Wizard earning international acclaim and praise and Violent Soho’s WACO destroying album selling records. Because of this, perhaps slightly patriotic pride for Australian music, my year in music has been dominated by great Australian albums. Many ‘albums of the year’ lists have contained the expected Blackstar by David Bowie, Kanye’s Life of Pablo and even Solange’s A Seat At The Table, but these albums didn’t end up on my radar nor did I particularly listen to them very often. So, as many lists go, there are some albums I just didn’t listen to this year, and even more controversially perhaps, this year, there are some albums I just didn’t enjoy. 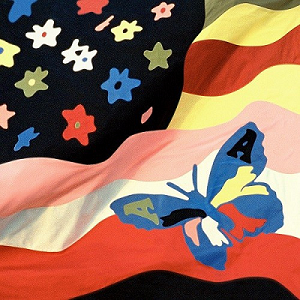 The Avalanches had been basically inactive ever since their 2000 opus Since I Left You and many were expecting the band to erupt, very much like a dormant volcano, with molten and scorching plunder phonic anthems in 2016 with their new album. Although, Wildflower didn’t entirely succeed with this prediction, it definitely didn’t disappoint. “Frankie Sinatra” bops along at a superb dance beat and “Colours” explodes into a sublime and almost synesthetic kaleidoscope of sounds. A trend of criticisms that will continue on this list, is that Wildflower’s length is a bit too long to be listened to on repeat but its length is fantastic for a summer afternoon of relaxation. Although the band employs more live performance than plundering record stores for obscure sounds, Wildflower is still a beautiful collection of songs. The long-awaited follow-up to 2013’s The 1975, this album and its inappropriately long title are a charming and scrumptious tribute to 80s pop. Songs like “Love Me” are heart-warming and songs like “Somebody Else” are heartbreaking. “Change Of Heart” and “She’s American” are catchy insights into nightlife and finding, or perhaps, losing love. 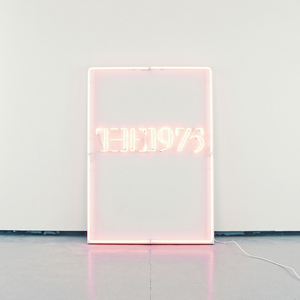 The album cover, although it is lazy, is a wonderful visual metaphor for the band’s brighter and more bubble-gum-pink sound on their ambitiously long second effort. The fantastic debut effort from Melbourne-based Gabriella Cohen, Full Disclosure And No Details is a lo-fi, lazy day bible. Reflecting her quirky stage presence through song, Cohen has created 41 minutes of metronomic and hypnotic indie-pop. “I Don’t Feel So Alive” is a slow-burning lamentation and “This Could Be Love” is a beautiful dedication to potential. The album can be recommended to any fan of lo-fi as it its laid-back production style is extremely charming. Cohen’s musical potential is very promising if this album is only the beginning. Here’s hoping she puts out more and more fantastic albums like this. Is the Is Are is DIIV’s grammatically confusing second album after 2013’s Oshin. Is the Is Are is a sonically pleasing follow-up to their first album’s washed out and reverb-drowned sound. Zachary Cole Smith’s guitars and vocals are enveloped in a much more tangible and clean sound that allows his fantastic dream-pop compositions to shine and glisten musically. “Under The Sun” and “Dopamine” are beautiful earworms that are marvellous to bop around to. The album’s homogenous sound, which would usually be a criticism, is a charming touch that may not give the album continuous longevity but allows it consistency. Much like the 1975’s album, the album is quite long but it is still a magnificently reverbed, guitar riff driven, summer album. Nonagon Infinity is the Melbourne-based band’s eighth studio effort. Coming after Paper Mache Dream Balloon, a completely acoustic album and Quarters!, a symphony of four, ten minute and ten second songs, Nonagon Infinity is another gigantic leap in another direction for the unstoppable band. Written around the concept of an “infinitely” looping album this album really can be played endlessly (only digitally of course). “Robot Stop” and “Road Train” are relentless and bombastic rock songs. 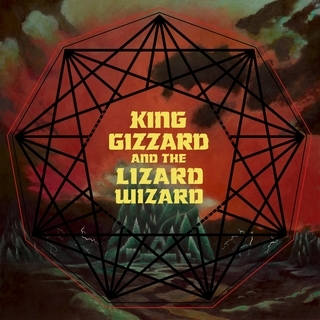 Reflecting a sound they had on 2014’s I’m In Your Mind Fuzz (shown in the albums’ similar cover art), King Giz really do turn the dial up to 11 on this one. This album solidifies the band as a true “rock” band and shows their potential to bring more punch, oomph and bite back to the rock scene. Brisbane’s Cub Sport, after only recently changing their name from Cub Scouts after a legal scuffle with Scouts Australia, released their debut effort This Is Our Vice in 2016. If the 1975 changed their sound to a more pop sound for attention, Cub Sport kept their pop tendencies for a pure love of 80s synth pop and new wave. This Is Our Vice is one of the catchiest and musically diverse indie-pop albums of the year and makes no attempts to sell it self out or to pander to anybody. “Come On Mess Me Up” is a heartbreaking ballad and “Only Friend” uses synths in a unique and catchy riff. This album is 38 minutes of pure pop and in that sense is incredibly refreshing to see in 2016. The band’s mixture of synths, guitars, bass, drums and lovely, luscious vocals makes this album one of the best indie-pop albums of recent time. 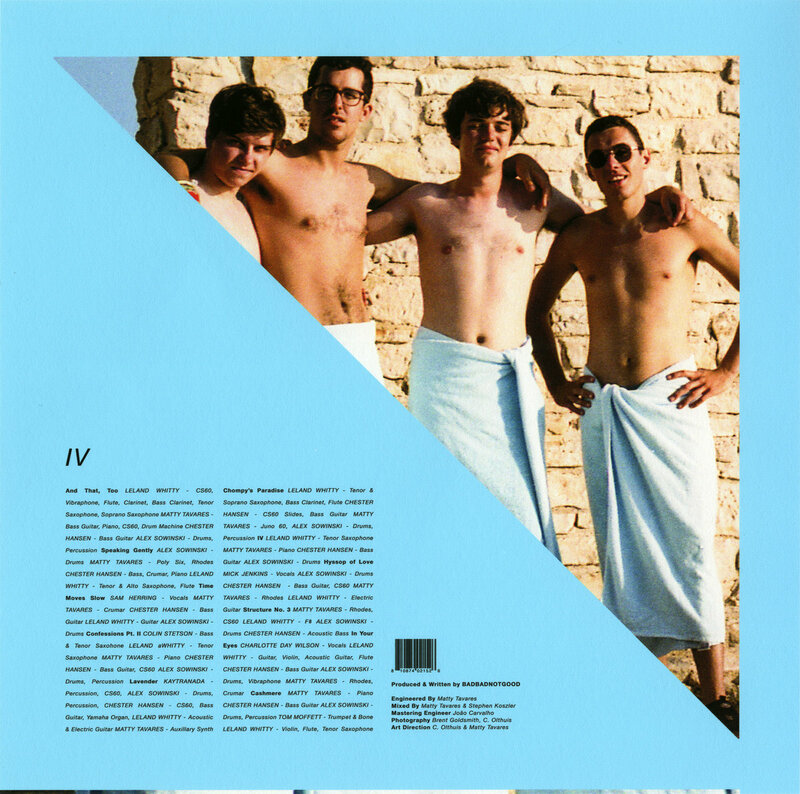 As the album title, IV suggests, this is BADBADNOTGOOD’s fourth album attempt. After recently working with Ghostface Killah to accompany his recent album Sour Soul, BBNG have come a long way sonically. Learning from Sour Soul the band realised their accompaniment potential. Vocally driven songs such as “In Your Eyes” features Charlotte Day Wilson, a wonderful, crooning singer and “Time Moves Slow” has the singer of Future Islands, Sam Herring, groan and moan over the band’s beautiful instrumentals. The album is well and truly jazz, but with a few extra modern inclusions. Producer Kaytranda assists in some places on the album to give the songs a more electronic sound. The album is much more accessible and likeable than their past album III, with more songs with vocals and is definitely one of the best albums of 2016. 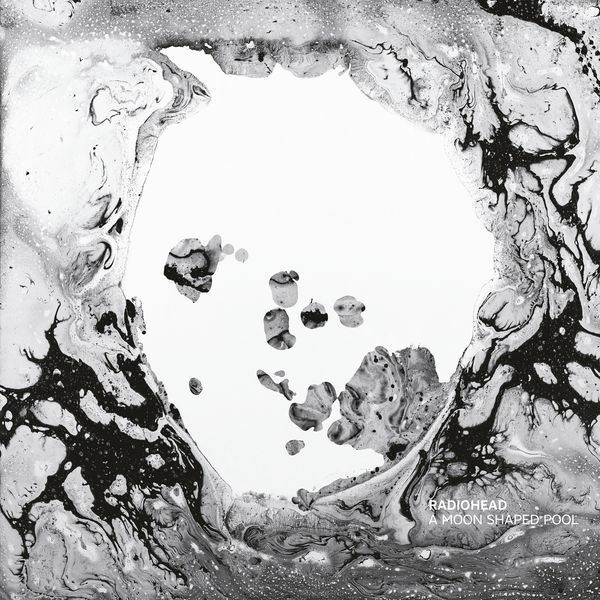 A Moon Shaped Pool was Radiohead’s return and ninth album after 2012’s “The King of Limbs” a strange and short, percussion driven effort. 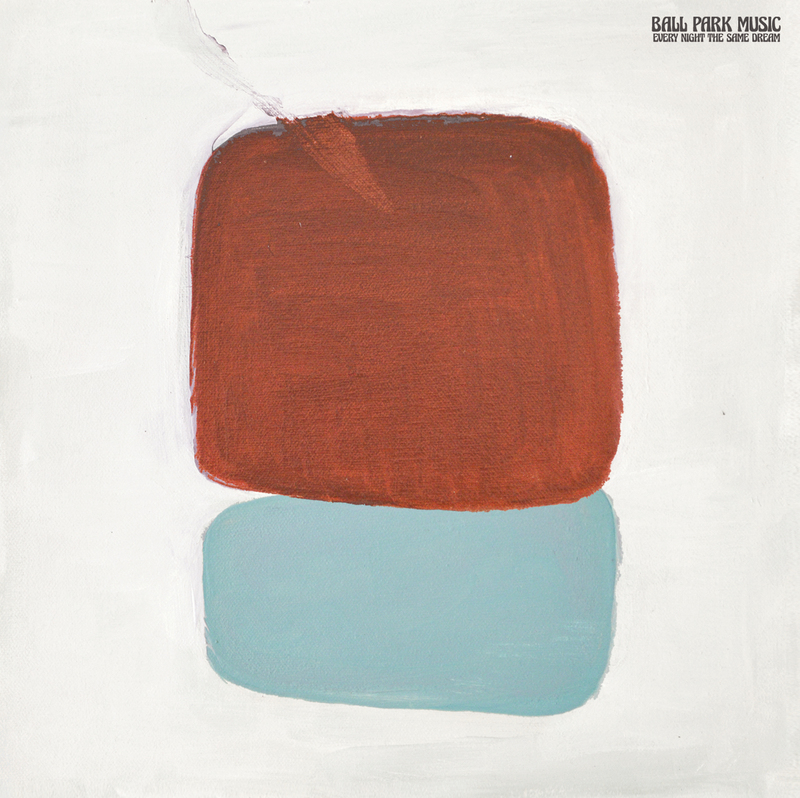 The album is very much a ‘return to basics’ both instrumentally and melodically. Many of the album’s tracks are actually a lot of their older songs, which were once cursed to only be live renditions. A Moon Shaped Pool really is a dark and depressing album but that’s what Radiohead is best at. “Burn The Witch’s” aggressive, alarming and percussive strings are beautiful and “Present Tense” is hauntingly ominous. This album really is a ‘cry album’ and not a dance-a-long one but it is so highly praised for its fantastic musical contribution to the current state of music and even a great contribution to Radiohead’s recent legacy. With other bands from Radiohead’s time releasing albums this year and fantastically flopping, it’s great to see a band like Radiohead still kicking and showing other bands how it can be done despite a band’s age. The Last Shadow Puppets are another band that have been fairly dormant since their debut album The Age of the Understatement in 2008. With the Arctic Monkey’s 2013 album AM blowing up, the return of Alex Turner’s side-band was basically imminent. 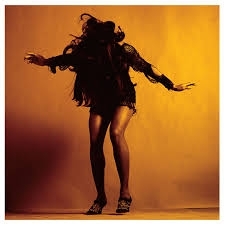 Everything You’ve Come to Expect takes everything from AM and TLSP’s 2008 album and lets them collide mid-air in a fantastic supernova of string-tinged indie rock. “Miracle Aligner” is a fantastic 60s crooner song ripped straight out of a time machine and “Bad Habits” is a get-up-and-dance mosh-pit starter. The album is complimented with Turner’s always amazing lyricism and the Miles Kane inclusions on the album also give it a nice punch. This album is a fantastic ode to Arctic Monkeys fans and is a great advertisement for what might come to be in future years. People who aren’t fans of the Arctic Monkeys can still enjoy this album for its retro sound and song writing as well as its wonderful, dashing charm. Ball Park Music have always been pioneers of melodies, harmonies and catchy, indie rock ever since their 2011 Happiness and Surrounding Suburbs dropped. Other additions to their discography, Museum and Puddinghead, have pushed the envelope with one danceable tune after the other. With a new sound advertised in the 7-minute long lead single “Pariah”,much hype surrounded the announcement and the release of the bands fourth album. The band’s new and improved sound on Every Night the Same Dream gives way to intoxicatingly psychedelic pop tunes, an amazing combination. Songs like “Feelings” and “Ever Since I Turned The Lights On” are fantastic, psychedelic songs with brilliant and thought-provoking lyricism. In true Ball Park style, every song on this album earns its place on the track list and earns its place in your heart. The album is dense and diverse had truly has you second-guessing where the band is going to go next. The album’s ballads and sad points are beautiful and the album’s loud and groovy parts are glorious. For a band who just keeps on getting better and better, it was hard to think that this was the sort of ‘better’ the band could achieve. With work on the band’s fifth album apparently already underway, it’s scary to think if in 2017 we could have something better than this from the band. Although 2016 has been a sad, sad year for music, as music fanatics we should go into 2017 with plenty of optimism and care. 2017 has the potential to be a better year for music. With many up and coming stars appearing, I’m personally excited to see how much better music can get in 2017 and I hope you are too. Paul Waxman is the co-director of cultural journalism at Monash’s radio station, Radio Monash. What about huge hip-hop albums that came out this year – Danny Brown’s Atrocity Exhibition & Run the Jewels’ RTJ3 were both phenomenal albums which show much more of a stylistic flair than (as an example) the bland generic Last Shadow Puppets’ album (my opinion despite indie rock and alternative rock being my go-to genre). Or A Tribe Called Quest’s final album that came out this year? Jeff Rosenstock’s WORRY is a fantastic tour de force through various genres like ska punk, power pop, and indie rock. In any case, lists like this are subjective, but I feel there are some key albums that are much better, more accomplished, and more ready to be listened to multiple times.